illustrate two of the most important limits in mathematics: the derivative (in this case of cos(x)) and the exponential function. 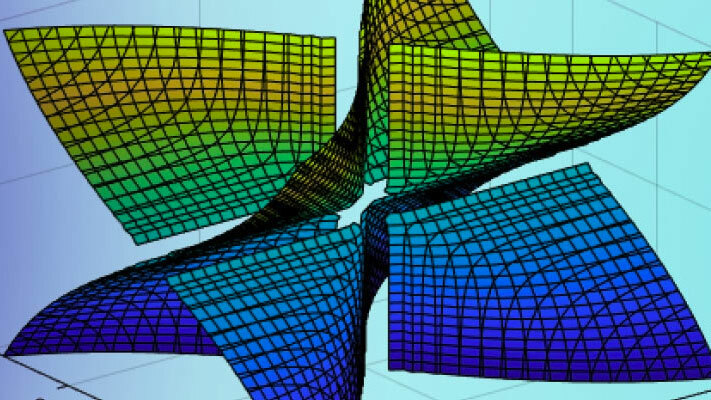 You can also calculate one-sided limits with Symbolic Math Toolbox software. For example, you can calculate the limit of x/|x|, whose graph is shown in the following figure, as x approaches 0 from the left or from the right. 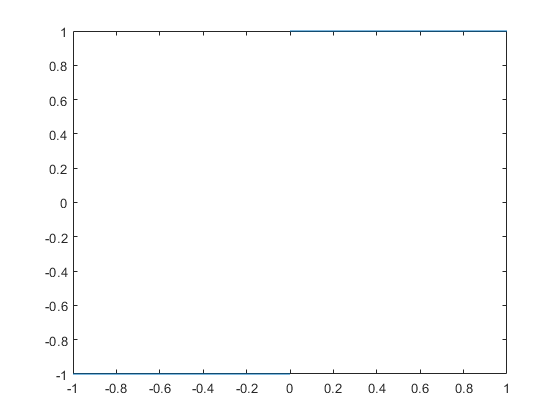 Observe that the default case, limit(f) is the same as limit(f,x,0). Explore the options for the limit command in this table, where f is a function of the symbolic object x.